Gabor Csalog plays all the Mazurkas. Very authoritative and imaginative performances, which somehow combines a stong mazurka kick, a good feel for how to make the rubato organic, an approach which isn't overly perfumed or overly heavy, and a real sensitivity to the bittersweet elelent, the zal. I don't know what piano he uses - could well be a an old Erard or Pleyel. I like this - it may deserve a place in the top drawer of complete mazurka recordings - along with Indjic and Flier. Csalog is a mover and shaker in the world of Chopin studies, he has published an urtext of the mazurkas. The informed approach pays off - as so often the case. 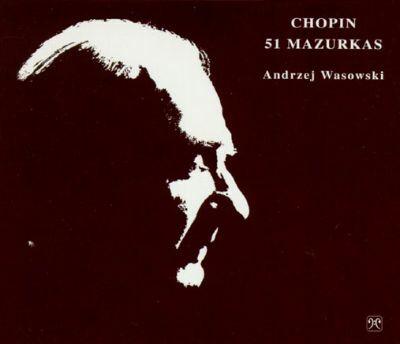 Andrzej Wasowski plays all Chopin's Mazurkas. He makes them in recitatives, dramatic recitatives. He's very aware of the melancholy in the music, and that means that the drama appears psychological. Andrej Wasowski plays all Chopin's Mazurkas. He makes them in recitatives, dramatic recitatives. He's very aware of the melancholy in the music, and that means that the drama appears psychological. A great set! His Nocturnes are lovely as well! A pity it's not a complete set. And I would like to have all of his Chopin in good sound. I can put the other stuff on symphonyshare. Thanks. There's no rush as I won't be able to enjoy them before August in any case. I got to review this for MusicWeb. It really is good, and enjoyable; sometimes Asheim plays far faster than I'd like, but you could argue about that being period practice. Another potentially "authentic" quality is the (very rare, not intrusive) wrong notes. 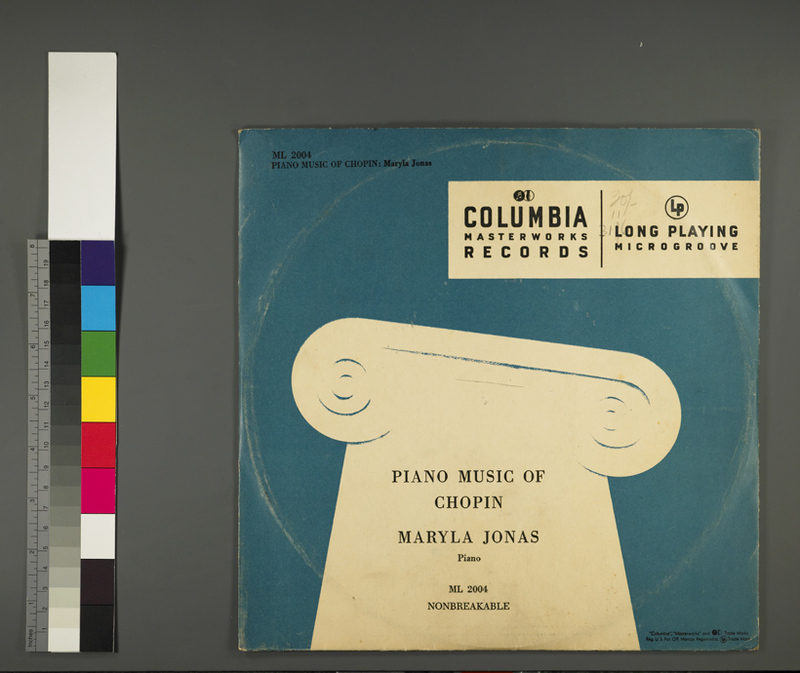 Maryla Jonas plays some mazurkas. The style reminds me of Gustav Leonhardt in his Froberger for Teldec, and in his Frescobaldi for Philips. That's to say it's both expressive and controled, accurate. The result is abstract and humane - humane because it's expressive, and abstract because the control means that there's never any impression that the pianist is just vaunting her own states of mind. I appreciate this universalised apollonian style a lot, and I'd like to hear the same approach in other romantic music. The recording on Pearl, which contains some of the mazurkas on this LP, is so marred by poor sound it's hard to appreciate her art in any detail. Janina Fialkowska plays Chopin's mazurkas. This is some of the the most emotionally subtle, nuanced and varied, the most beautiful, the most focused, mazurka playing I have heard. It is also the least stormy, the least passionate, the most "tasteful", the most genteel. This sounds good! She was a student of Rubinstein, if I recall correctly. One of the most remarkable things about Fialkowska is the way she takes each reptition in the music and gives it an individual emotional nuance. That, combined with her sense of refinement, nobility. She may be Rubinstein's pupil but she's not distant and aloof from the music like Rubinstein came to be after the war, nor does she have Rubinstein's outgoing showmanship. People who like, e.g., Kulenkampff and Schneiderhan in Beethoven, will find a lot to appreciate in her Chopin. In terms of basic things like tone, she's like a good claret. Her Chopin sonatas are well worth catching, and the Liszt sonata too. These Dresden China mazurkas from Pavel Kolesnikov are like a breath of fresh air. He completely dispenses with the idea that Chopin was wise, profound and surprising. In Kolesnikov's hands the mazurkas are hardly a sustained engagement with the human condition. There's very little if any dream like meditation, there's very little if any tension between irregular rhythms and fluid song, There ain't much emotional ambiguity, any interesting counterpoint in the music is hardly brought into prominence. What Kolesnikov gives us is something which sings and dances along without much of a care in the world. In these mazurkas God's in his heaven and all's right with the world - at least the world that's visible from the bourgeois salon. Kolesnikov makes a sound which suits the superficiality of the interpretation - light and silvery and rather lovely. These are mazurkas for the background, not to be taken too seriously. 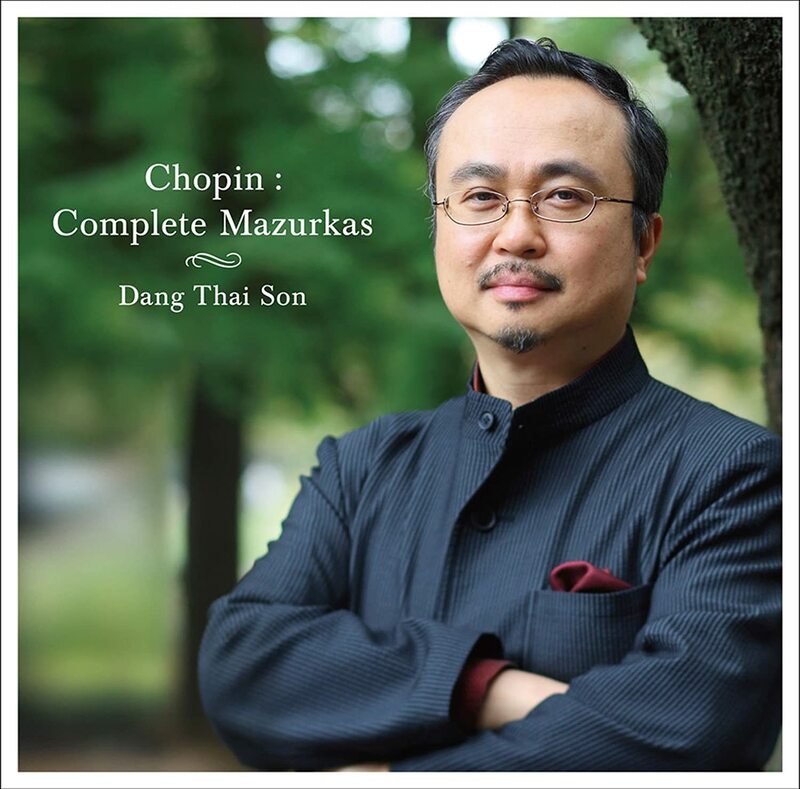 Dang Thai Son knows how to drive a piano and he knows how to play Chopin. The tone he makes emerge is . . . hammerless and richly colourful; the interpretations are nuanced and sophisticated. The playing is full of a totally natural and rather original rubato. The irony in the music, the ambiguous emotional life of the mazurkas, is well realised. There's not the slightest suggestion of either the bourgeois salon or peasant dance hall. These mazurkas are, in Dang's hands, soul music, not just foot music or voice music. 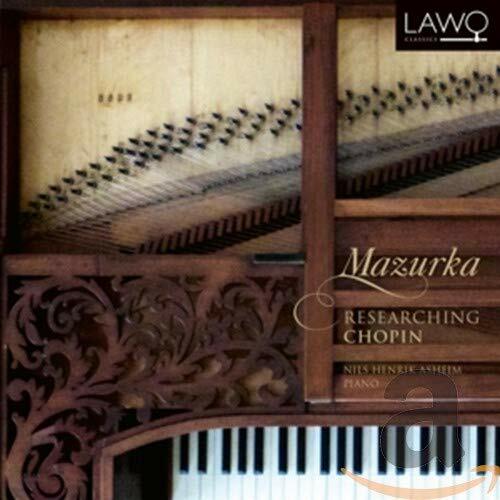 This is one of the best mazurka sets on modern piano. What a shame he didn't use a real Chopin piano though! Thanks for the info, Mandryka! Who are your overall favorites, in order if you don't mind, at this point for the Mazurkas?